Poor old Scotland. You’d think that after the highs and lows of the referendum, someone would cut them a break – but no. 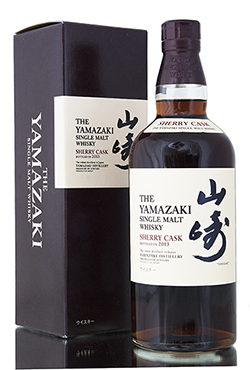 In a stunning (but not entirely unexpected) move, Jim Murray, the world’s foremost whisky expert, has declared the Yamazaki Single Malt Sherry Cask the best damn tipple money can buy, in the 2015 edition of the World Whisky Bible. He wasn’t exactly holding back the praise, either. Describing it as ‘near indescribable genius’, he said the whisky had ‘a nose of exquisite boldness’ and a finish of ‘light, teasing spice’ – overall, he gave it 97.5 marks out of 100. This is the first time that a Japanese whisky has ever been awarded the title, and to further rub it in, no Scottish whisky made it into the top five. Second and third place were secured by the American bourbon William Larue Weller and Sazerac Rye 18 Year Old respectively.